I always sew for the season that we are actually in. I like the instant gratification of wearing my new make the next day. Here in inland So Cal, the weather will be warm until October, so I am still in the market for easy wearing summer dresses. 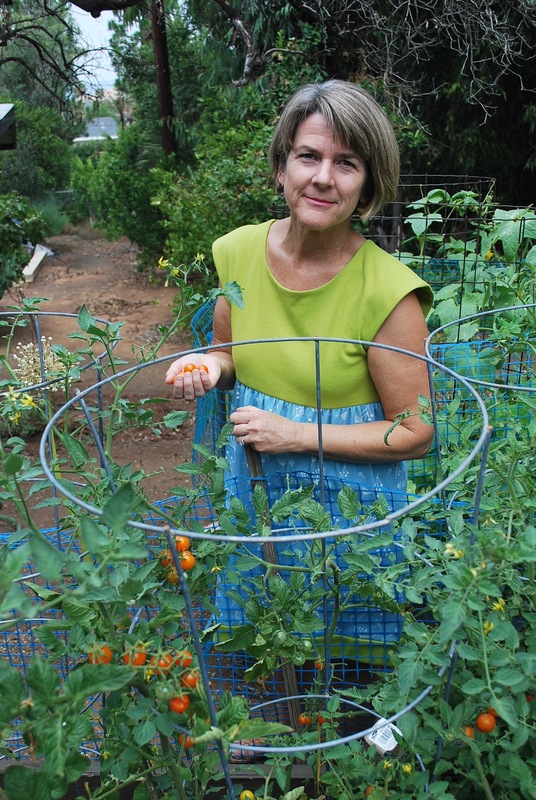 I am sharing with you my new Fresh Make that will help get me through the dog days of summer. 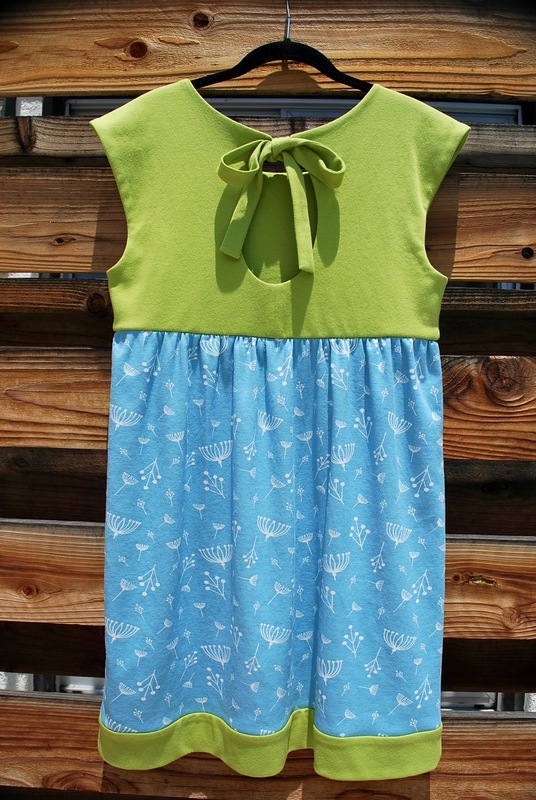 The pattern I used is Butterick 5456. I purchased this pattern at least a year ago at JoAnn’s during a pattern sale which means I paid less than $2 for it. The year on the envelope is 2010. I hope it’s still in print because I think it is a timeless, wearable pattern. 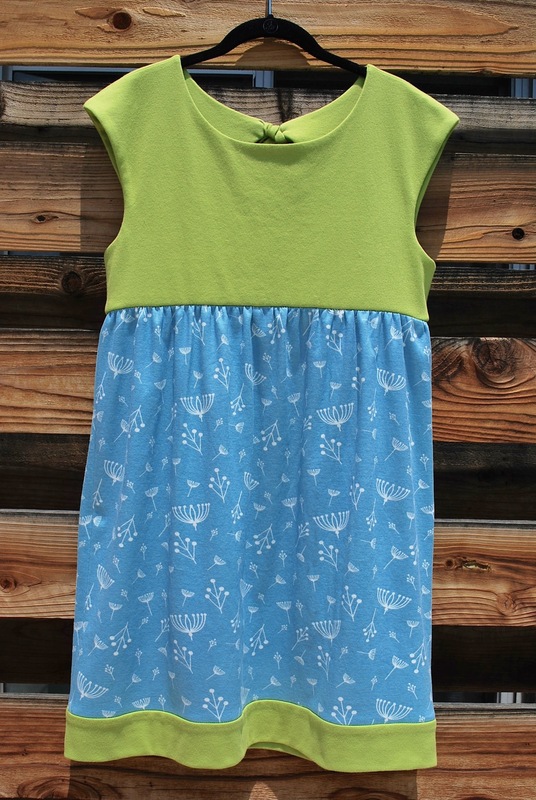 The fabric I used was purchased online at Fabricworm originally for a Marianne Dress for Round Two of the Super Online Sewing Match. (I was eliminated after that round, but it but it was great fun while it lasted!) I ended up using some other fabric for the contest, so I still had this fabric on hand screaming at me to sew it up. The blue and white print is an organic cotton interlock knit by Charley Harper for Birch Fabrics. It was $13 per yard and 45″ wide. Honesty time: I don’t think I will purchase from this collection again. While the weight of the interlock was substantial and as expected, the blue ink stiffens the fabric and does not soften with a machine wash and dry. Also the ink application is a slightly uneven and blotchy in places. Fortunately, the green Birch Organic, Mod Basic Solid, is a completely different story. It is super soft and dreamy, and the touch of Lycra is genius for an interlock, a weave that can stretch out easily. It was $12.80 per yard and 60″ wide. This collection will definitely become a “go to” solid for me. The bodice is fully lined. 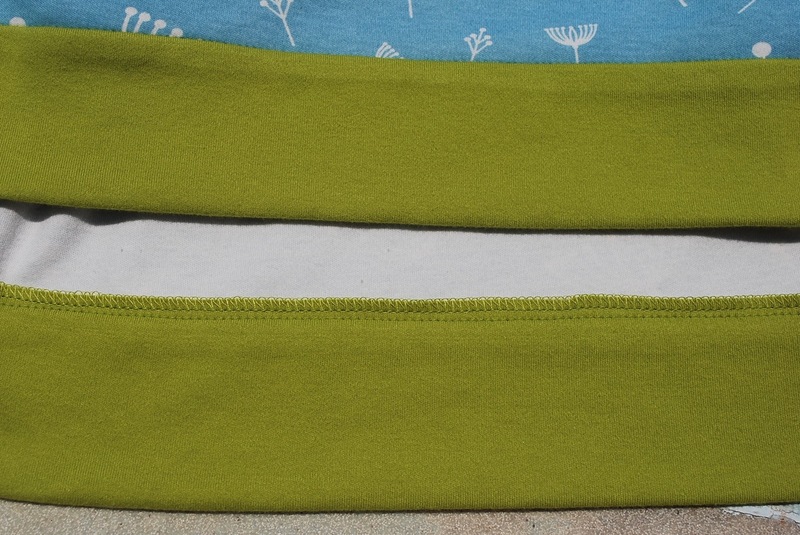 It would have been optimal to use a thinner knit for the lining instead of the green interlock, but there was enough and I wanted to use what I had on hand. 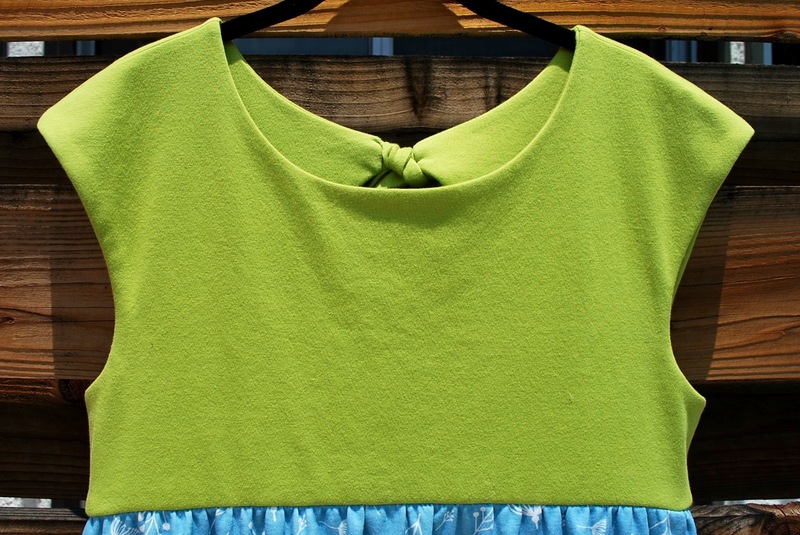 I used the method for a clean, machine armhole finish from the Moneta Dress by Colette. 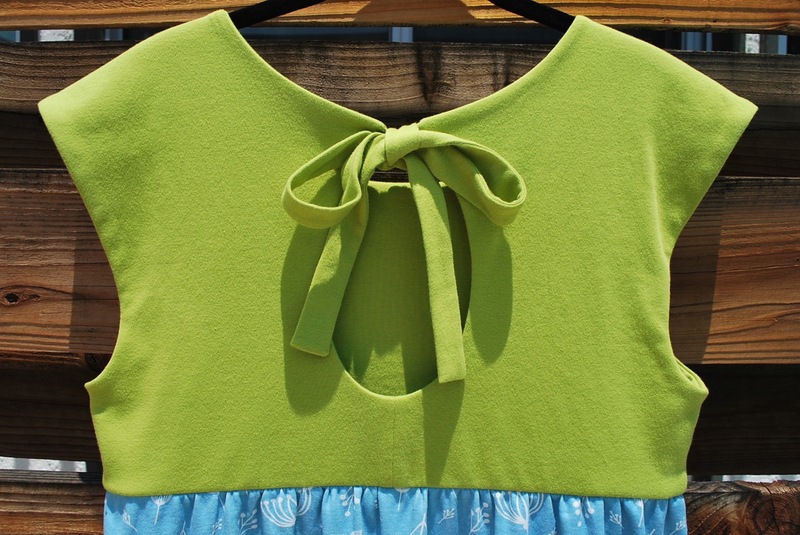 I think the keyhole back and tie add an interesting detail to a simple dress. And I really like that the opening is high enough that you can still wear a regular bra. I shirred the skirt with clear elastic, also a method from the Moneta Dress by Colette. 1. The pattern is labeled “Fast & Easy.” That it is. However, there is no differentiated instruction for knits which could cause frustration for someone who has not sewn on knits before. I basically glanced at the illustrations and used my own knit techniques as well as the two from the Moneta Dress mentioned above. 2. I cut out exactly between size 12 and 14, taking into consideration that knit ease should be less. I still misjudged and the bodice turned out a little big. The armholes are particularly large. Don’t get me wrong, I am still going to wear it! If I were to make it again, however, I would probably cut a size 10. 3. I like the double thickness of the bottom band, but proportionally I think the original width of the band looks better. So if I were to make the dress again I would cut a band of double width, fold and stitch-in-the-ditch again. I really do like this dress. It was simple, no hassle sewing. And it is as comfortable as can be. What about you? 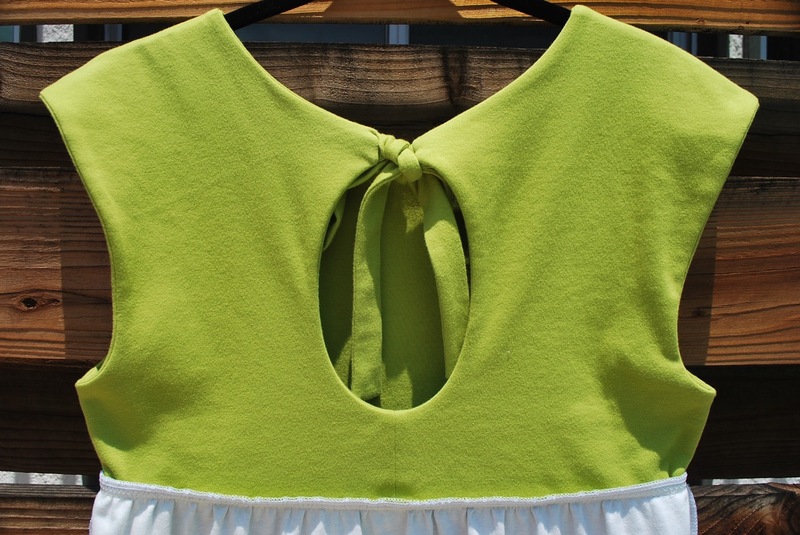 Do you sew a season ahead or squeeze in a few end-of-the-season makes?